This photo shows the interior walls, which are 3.5 inches thick (framed with 2x4s). 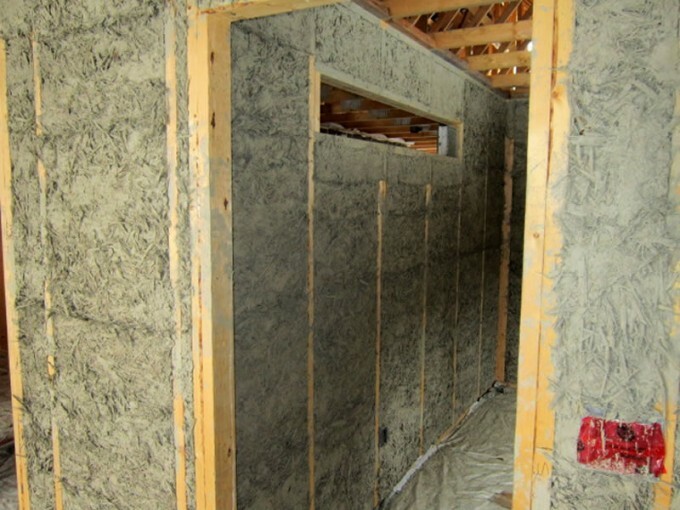 The exerior walls are 12 inches thick, to provide a much higher level of insulation and thermal mass. I’ve been helping mix plaster, sling buckets, apply plaster, and trowel the brown coat of earthen plaster on these walls. The homeowner as well as Cindy and Peggy are overseeing and supervising the project, and it’s going really well with a great crew of natural plasterers. I come home muddy and well excercised at the end of each day!